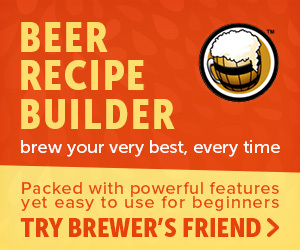 A FREE water chemistry tool useful for achieving the desired mash pH and preferred water characteristics when brewing beer. This spreadsheet is totally free and you may use it however you would like. However, should you desire to show your appreciation, please consider making a donation. Note: by donating $5 or more you will be notified of any spreadsheet updates by email (unless of course you indicate not to be). Another way to help support this site it by visiting the advertiser's website at the top of the page. 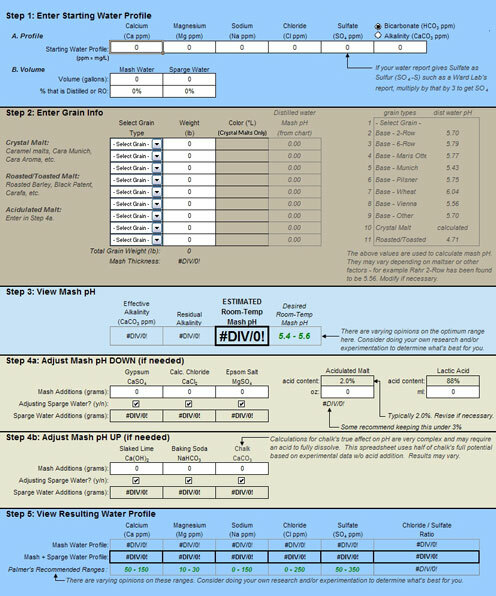 3.0.2 Improved accuracy in predicting mash pH by using individual grain types in grain bill. Also new is adjustment with slaked lime.